With more mothers set to return to work after the government announced budget plans last week to help parents with the cost of childcare next year, what does this mean for home-cooked baby food? I must say I was pleased to hear the news about the extra help with childcare costs. At the moment it’s something that puts financial pressure on a lot of families, including mine. However, with more parents set to be busy at work all week, I started to wonder if there will be enough hours left in the day for parents to cook homemade for their babies and toddlers! Home-cooked baby food is by far the best type of food for growing children. For children it’s nutrient-rich which is what they need for healthy development, so not an area parents should compromise on; and for parents, it’s cost-effective. So with time being a major factor in people’s lives, realistically, is it always possible to home cook baby food? Well the answer to that is YES it is possible. Even though I literally flop onto the sofa by the end of each working day after juggling work, blogging, getting the little one bathed and ready for bed, I’ve still found a way to incorporate home-cooking into our lives. It’s something that I love doing and it is extremely important for growing children and the whole family. All you need is a little forward planning to succeed! So whether you are already a busy working parent, or whether you are going to be, read my tips on juggling both home cooking and work life below without compromising on nutrition. Dedicate just one hour each weekend to cooking baby food. Most of my recipes take just half an hour on average to prepare so you can cook two meals up at the same time. Personally I like to cook one vegetarian meal and one protein-rich meal to ensure my little one is receiving a balanced diet. Most of my recipes create at least four or five servings from one batch, so you can freeze the remaining servings into individual portions. Simply place them in freezer bags and back date them. Then thaw the meals (by placing them in the fridge before you head out to work) and serve to your little one after work. 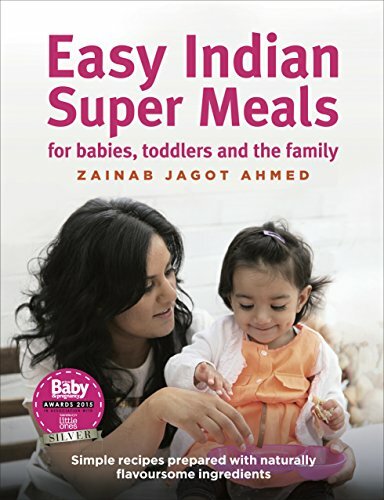 If you’ve been out and about with the family over the weekend with no time prepare baby food in advance of the working week, cook meals after work that take no time at all to prepare. For example frozen fish fillets can be stored in the freezer and poached in the microwave within minutes. Serve with a lightly cooked dressing of olive oil, garlic and coriander and a side of vegetables. Mash the whole lot if necessary and serve to baby. The British Specialist Nutrition Association says that commercial baby foods are fine provided they are used as part of a mixed diet which includes homemade food. 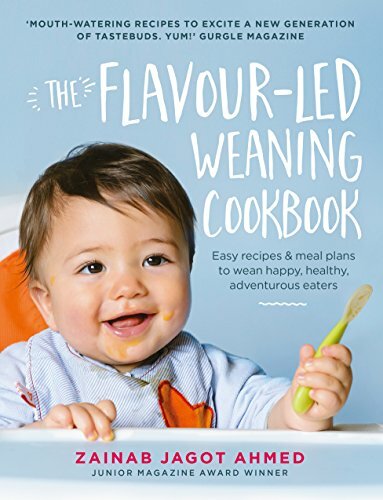 So bearing this in mind, if you really don’t have the time to cook baby food one weekend or after work, you can offer your little ones the odd store bought meal that you’ve saved for a ‘rainy day’. Are you a one half of a working set of parents? If so, how do you incorporate homemade baby food into your lifestyle?